Infestations are poisonous spreads of diseases lying around in groups that are said to "corrupt the forest". They are also found around the places where the contaminators dwell in. Sometimes, kamikaze-caterpillars maybe hiding in some big spreads of infestations and would come out when the infestations are destroyed. 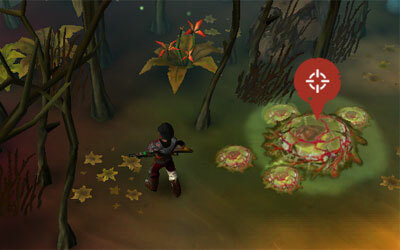 Destroying infestations would enable one to complete quests like "A Deadly Disease" and "Toxic Wasteland".